The world has seen a good number of musicians coming together as a group to conquer the industry, this is the tale of the Dan and Shay musical duo. Dan + Shay is an American music duo comprised of vocalists and songwriters named Dan Smyers and Shay Mooney. The duo specializes in making country music, and currently has three albums to their credit: Where It All Began, Crossed, and Dan + Shay. Most of their singles went on to top the country airplay and Hot Country Songs charts. The duo began playing together in 2012 after meeting by chance at a party. Dan + Shay signed a record deal with Warner Bros Records in Nashville. Their songs are imbued with the sweetness and cheeriness that usually accompanied country-pop, and it quickly spread around the music industry, attracting the attention of bigwigs like Rascal Flatts and publishing houses who wanted the duo to sign with their company. Dan + Shay are widely recognized for their hit singles like Nothing Like You, From the Ground Up, How Not To, Tequila, and Speechless. When the country music duo is not busy writing their own songs, they are collaborating and performing alongside other famous acts such as Kelly Clarkson, RaeLynn, and Lindsey Stirling. Who Are Dan and Shay Musical Duo? Daniel Smyers is one half of Dan + Shay music group. He was born in Wexford, Pennsylvania on August 16, 1987. He completed his early education at North Allegheny High School, before moving on to Carnegie Mellon University where he bagged a degree in finance and played college football. It wasn’t until after his graduation that he decided to seek out a career in music instead of becoming another Wall Street type. Dan married the love of his life and longtime girlfriend, Abby Law on March 13, 2017. Shay Mooney was born on December 27, 1991, in Arkansas. He went to high in his hotel before moving on to further his education at Valley Forge Christian College, although he only completed one year after which he decided to pursue a music career. Shay began dating Veronica Ballestrini in 2012. Although their relationship only lasted a year, they spent their time together making original songs and covers of existing ones, which received a lot of attention online. The lovebirds went on to write songs about each other. After their break up, Shay began dating Hannah Billingsley, whom he later married in an intimate ceremony on October 20, 2017. They have a baby together, a son named Asher James Mooney. Before they formed their music group, the two members were doing pretty well for themselves in their personal music careers. Shay was a solo artist signed to T-Pain’s label, Nappy Boy Entertainment, while Dan belonged to a group, Bonaventure, and was a former member of a band called Transition which was signed to Floodgate Records. The two met when someone invited Shay to a party at Dan’s house. The latter had set up a large tent in his living room to keep the cold away. Somewhere along the night, the two of them started jamming, and they’ve been writing and playing songs together ever since. Less than two months down the road, they started receiving publishing offers and eventually signed a record deal with the label Warner/Chappell Music. They released their first single as the duo; Dan + Shay in 2013, titled 19 You + Me and their first studio album, Where It All Began was released the following year. The album gained enough traction, received flattering reviews, and soon enough they were performing on The Ellen Show, and opening for Hunter Hayes We’re Not Invisible Tour and scoring an Academy of Country Music Awards nomination for Vocal Duo of the Year. Nothin’ Like You, the third single of the album rose to No. 1 on the country airplay. The duo also served as opening acts for the Ten Times Crazier Tour by Blake Shelton. Soon they were headlining their own tour, Where It All Began and when it ended, they joined Hunter Hayes in another tour. In 2015, they announced they would be going on another tour, Just The Right Kind of Crazy, and releasing their second album titled Obsessed. The album featured singles like From The Ground Up, How Not To, and Road Trippin’. Early in 2018, Dan + Shay released a new single, Tequila, which heralded the release of their self-titled third album in June of the same year. The single made it all the way to No. 40 on the Billboard Hot 100. Dan + Shay have also had some of their songs featured on episodes of popular TV shows such as Nashville and The Bachelorette. It would be inappropriate if the Dan and Shay Musical Duo has not earned some prestigious accolade for their musical exploits thus far. As one would rightly guess, their efforts in the music industry have been rewarded with a handful of awards out of which they’ve won a few. As at the time of this writing, Dan and Shay are waiting for the outcome of their nomination for the 2019 Grammy Awards. They were nominated under two categories – Best Country Song and Best Country Duo Group Performance. In 2018, they won the CMT Music Awards for Duo Video of the Year. That’s not all; they also won the ASCAP Country Music Awards for Most Performed Songs in 2015. The first time the duo was nominated for the CMT Music Awards was in 2014. That same year, they were equally nominated for the Country Music Association Awards and the Academy of the Country Music Awards. Dan and Shay received another nomination for the two awards the following year (2015) and again in 2017. Even as Dan and Shay have been active since 2012, they only earned wide-spread recognition quite recently. While it’d be misleading to assume that this means they have not gained any significant fortune from their musical endeavours, it is fair to believe it’s the reason authentic sources hasn’t bothered to ascertain the extent of their wealth. 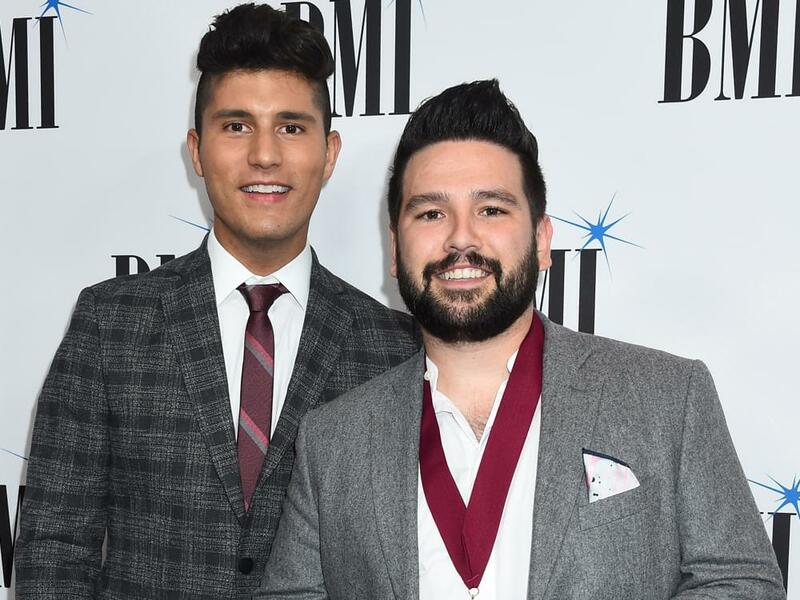 Nonetheless, the Dan and Shay musical duo must be worth a significant deal considering their several successful tours, the income from their record sales and other sources. Dan and Shay are also concerned about promoting the welfare of humanity. They have so far been a part of various charitable causes, including the concert they held in Pittsburgh which saw their fans donate over $60,000 towards the re-building of the Tree of Life Synagogue. Are you aware that Dan and Shay share a lovely tattoo that says 19 in Roman numerals? And that it is dedicated to their first single? The following are other interesting facts you should know about the charming musical duo, Dan + Shay. 1. Dan is a big time animal lover; his favorite animals are dogs and he has two gorgeous ones named Chief and Joy. He runs an Instagram page for them and the creatures have been able to gather over a thousand followers. 2. The Dan and Shay musical duo has a thing for performing with “unusual” costume – they once thrilled audiences while dressed in a teenage mutant costume – and so far their fans have found it very amusing. 3. The duo loves receiving creative gifts from their fans and learning about the process involved in making them. 4. After they began making music together as a group, they wrote over 150 songs in the very first two months of jamming their heads and talents together. 5. Although you might have guessed it from their single named Tequila, Shay’s favorite drink is a Red Bull and Tequila, while Dan’s poison of choice is a LaCroix with Tequila or plain Soda water. 6. The song Speechless is about how they felt when their respective wives, Abby and Hannah, walked down the aisle and agreed to marry them. 7. Other than the songs Dan and Shay have been making, the musical duo is a huge fan of some songs made by other artists. While they both have a thing for Travis Scott‘s Sicko Mode, Shay is obsessed with Bazzi’s Beautiful just as Dan can’t have enough of Ella Mai’s eponymous album. His favorite songs thereof are Trip, Easy, and of course, Boo’d Up. 8. They hope people would stop bullying them online. Shay once expressed that the online bullying experienced by artists is quite depressing. While he pointed out that people can be more humane in expressing their opinions, or totally avoid listening to the kind of music they don’t like, Dan acknowledged that they are to some extent, guilty of the hate they’ve been getting online. According to him, they have been making a lot of sad songs. Regardless, Dan and Shay are grateful for the support they have received from their fans, especially in 2018 which is most likely to go down in history as their breakthrough year. Describing the year as their biggest, Shay related that they are very much ecstatic about gaining international recognition. All things being equal, the future holds greater things for the Dan and Shay musical duo.